Author Kathleen Wainwright has published her first children's book, Summer in the City. Welcome to day 4 of her 10 day virtual tour! 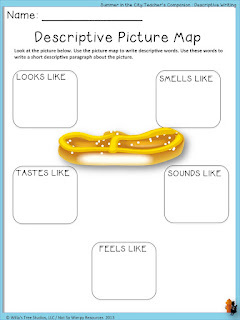 Today Kathleen will be sharing a really cool descripte writing mapping activity! Hi Latoya! 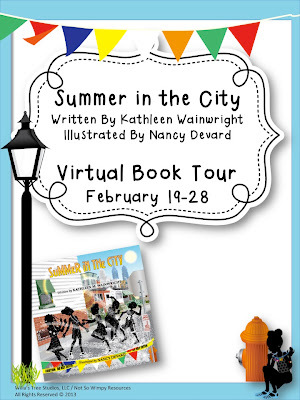 Thank you for hosting day 4 of the Summer in the City Virtual Book Tour! 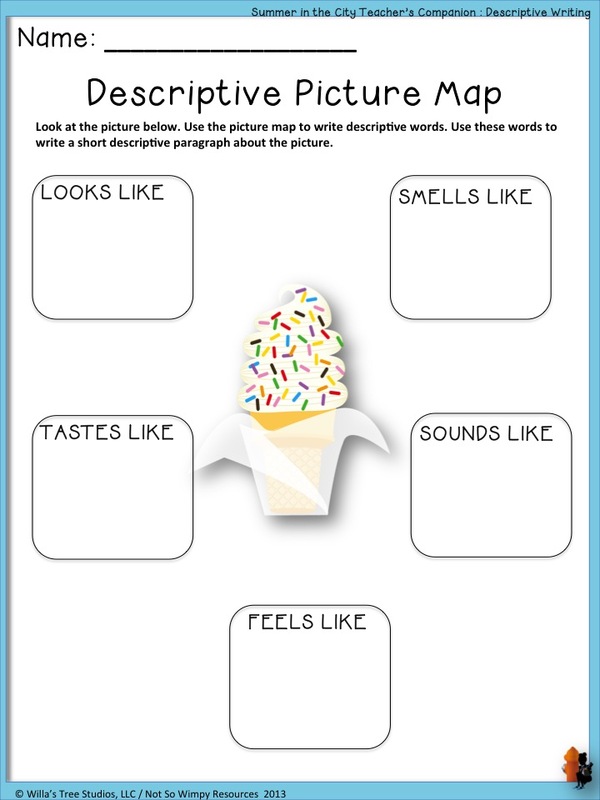 I am excited to share this really cute activity with your readers! Summer in the City is a really cute book that will not only remind you of some of your fondest childhood memories, it will also activate your senses! As you read, Summer in the City you will feel the heat of a summer's day. You will taste the sweet treats, feel the cool breeze as the students swing through the air, feel the cool splash as kids dive in the pool...hear the pocket change jingle as they "order vanilla icecream cones with rainbow sprinkles". This book is PERFECT for descriptive writing. And what kid wouldn't want to write about their summer plans...or their summer memories. This section of the Summer in the City Teacher's Reading Companion is one of my favorite! I love the images and I think it is one students will enjoy completing. I think this activity would look best in color but I also know that priniting out a class set of worksheets in color is ....expensive. So here is an idea. How about you print out a few. Place them in a writing center inside of a sheet protector and students can fill it in using dry erase markers. This is their brainstorming activity. They can then use this outline to write their rough draft. If you want them to keep a record of their ides. 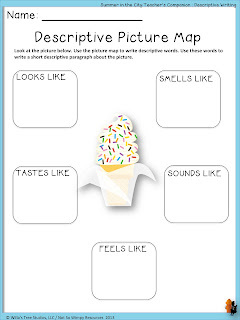 Students can complete a black and white copy after "brainstorming" on the sheet protector or laminated form. 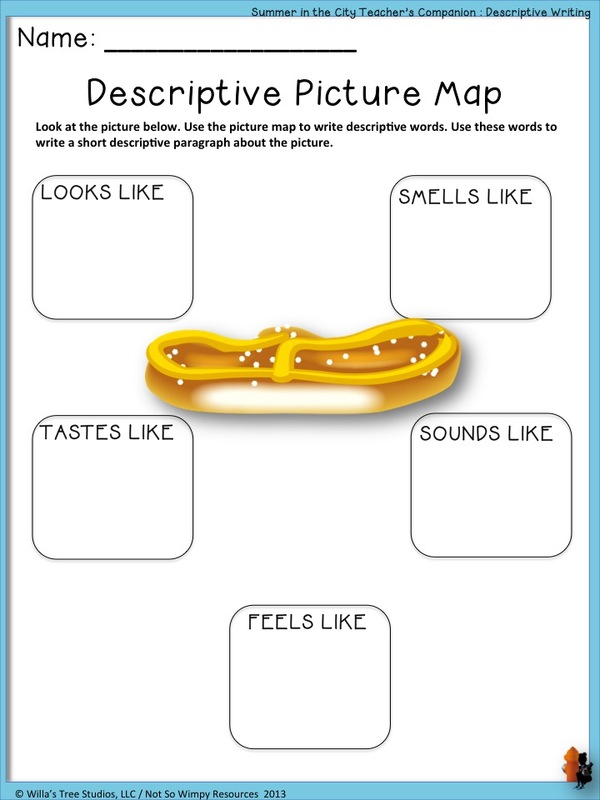 This activity is sure to motivate reluctant readers. My students LOVE the graphics in this book; they will be super excited to have them on their worksheets. For the complete descriptive writing section, click here! 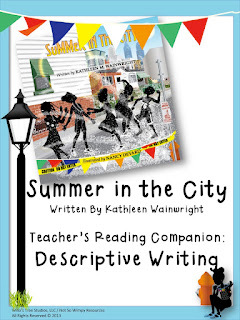 When you purchase Summer in the City from TeachersPayTeachers you will receive a Teacher's Reading Companion for *free! This resource is full of reading comprehension activities that are not only fun but also a great way to reinforce important skills. 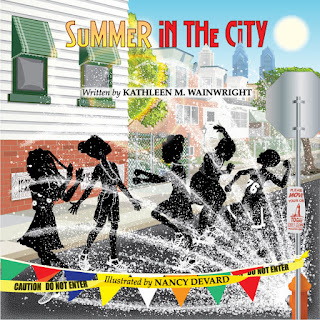 To purchase your signed hardback copy of Summer in the City, feel free to visit www.kathleenwainwright.com. For the e-book version of the book, visit my TPT store. 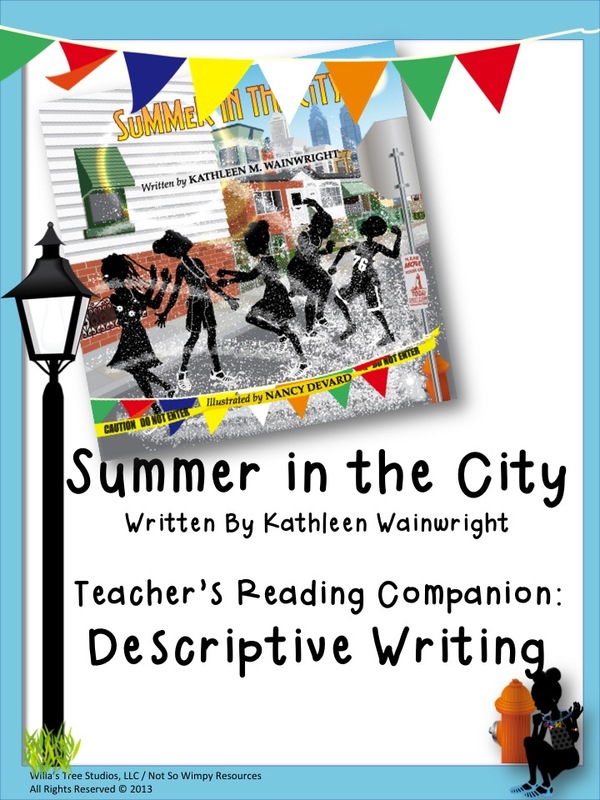 Tomorrow, Latoya Trice Reed, will be providing an overview of some of the great resources you will be able to find in the Summer in the City Teacher's Reading Companion. Don't forget to stop by and get your link to download another freebie! I will also be giving away 10 free, signed copies of Summer in the City at the end of her virtual book tour! Be sure to enter the giveaway for your chance to win! Kathleen Wainwright is a dedicated teacher in the School District of Philadelphia. She received her bachelor’s of Science degree in education from Temple University in Philadelphia, PA, and her master’s in education with a focus in literacy, from West Chester University, in West Chester, PA. Kathleen also teaches literacy courses to aspiring teachers at Temple University and developmental reading courses to incoming freshman at Delaware County Community College. “This story captures a typical summer’s day for me and my friends growing up in the 80’s! Every time I read it I travel back to some of my favorite childhood memories.” Kathleen recently earned National Board Certification in Literacy: Reading-Language Arts (Early and Middle Childhood). She enjoys sharing her personal teaching experiences and educational resources in her blog, The Diary of a Not So Wimpy Teacher (www.notsowimpyresources.com).